Photo by Ashley Goudeau, KVUE Austin. 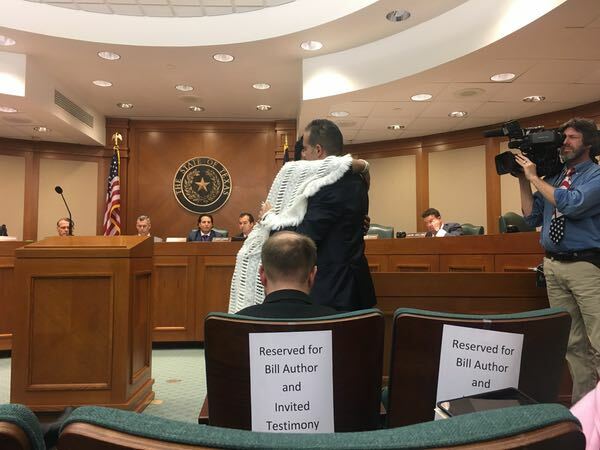 On Tuesday, I laid out House Bill 2702–also known as The Sandra Bland Act–in the House Committee on Homeland Security and Public Safety. Joined by many of the bill’s supporters, I discussed the bill’s potential impact on reforming our criminal justice system. I was also joined by Geneva Reed-Veal, the mother of Sandra Bland, whose testimony you can watch by clicking here. 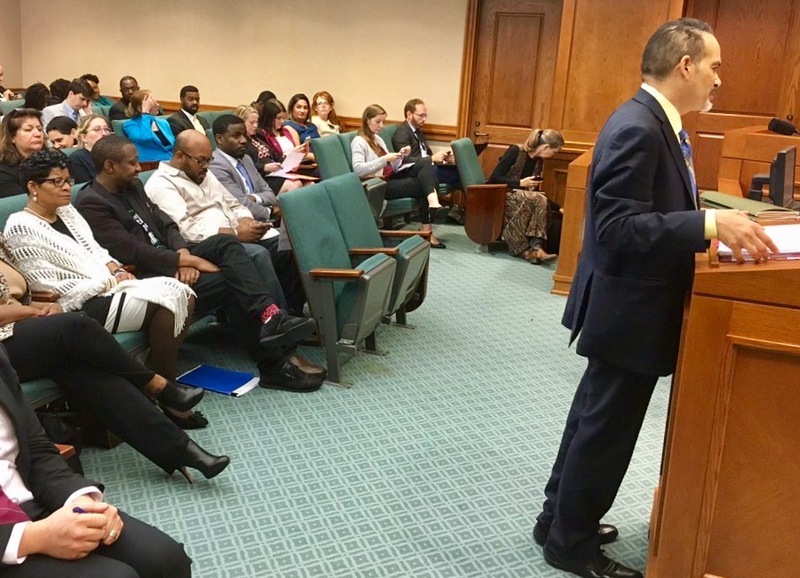 Yesterday’s hearing was the first step in the process of passing the Sandra Bland Act. It was always our intention to have a second committee substitute, which I will continue to work on with the various stakeholders before the bill is voted out of committee. 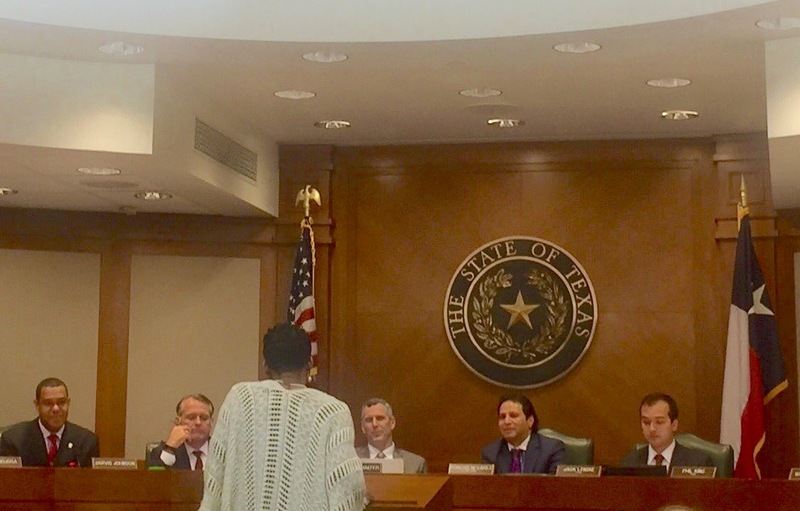 This hearing is not the end of the Sandra Bland Act, but rather the beginning. An important thing that I discussed during the hearing was implicit bias–including my own. Bias interferes with proper decision-making and until we recognize our implicit bias, changes cannot be made. This issue is personal to me as I strive to not allow implicit bias to cloud my judgment. There is still work to be done on the Sandra Bland Act. After the hearing, we resumed our work with law enforcement stakeholders including CLEAT, TMPA, the Sheriff’s Association, and others to refine the bill. This bill is not yet in its final version and I will continue to work with all stakeholders to get the bill to the Governor’s desk. Representative Coleman and Geneva Reed-Veal at the public hearing. Photo by Madlin Mekelburg with the Dallas Morning News. Geneva Reed-Veal testifying in front of the Committee. Our song of the week is “Never Gonna Give You Up” by Rick Astley.